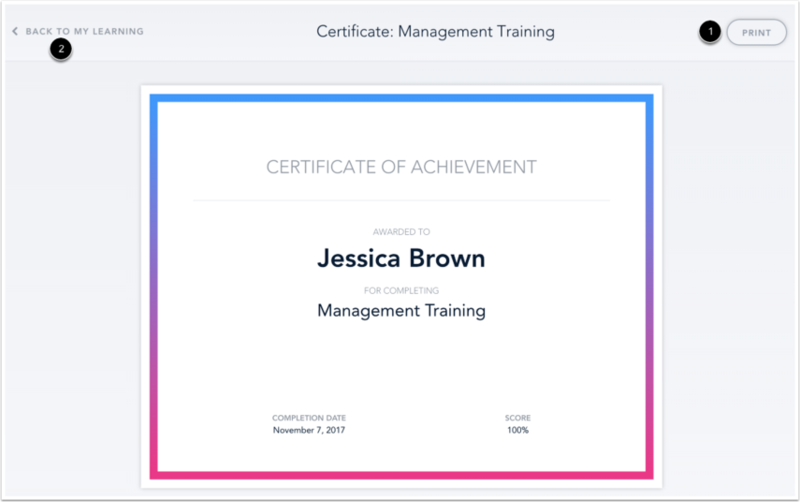 Courses that include certificates display a certificate icon . To view the certificate, click the View Certificate link . Previous Topic:How do I download file attachments for my course or live training? Next Topic:How do I use the Live Training Calendar? 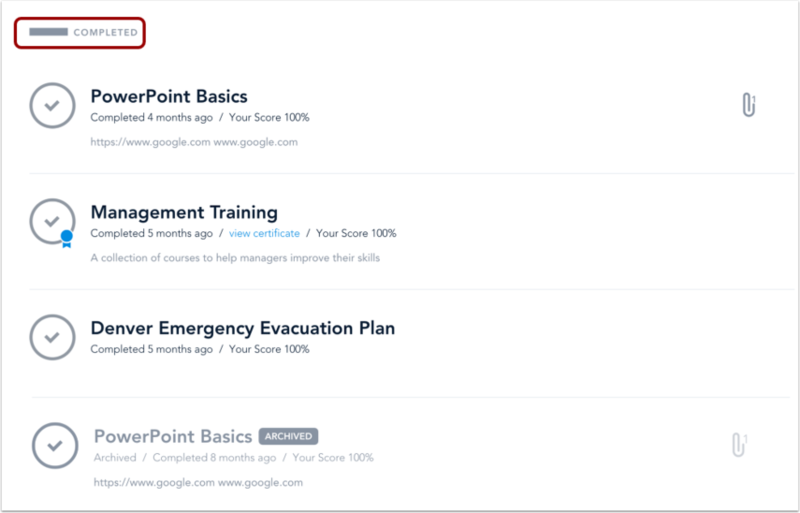 Table of Contents > Learners > How do I view a certificate of completion for my course? How do I send a certificate to learners who complete a course? How do I use the Live Training Calendar?